It’s our yearly check out some ads during the football game, and lets talk about them. Once again, Tom Nemitz leads a discussion with myself, Steve Gordon, Chris Kelly, and Ashley McFeely. 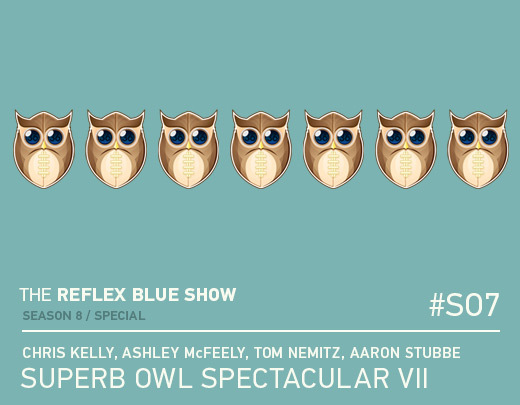 We hope you enjoy this kick-off to Season 7 of The Reflex Blue Show! Also, big thanks to Nicholas Burroughs for creating the template for all of the Season 7 artwork. Superb Owl illustration by Nate Voss (created for the first one, and used ever since).